Home Guides How to Start a Carwash Business in the Philippines? How to Start a Carwash Business in the Philippines? With more and more cars filling every street, there is also rapidly growing market for carwash services in the Philippines. It’s a hot business in the country since Pinoys want their vehicles looking new, clean and shiny all the time. This the exact reason why we often find carwash stations almost everywhere, from sidewalk operations to a full-service shop. But running a carwash business takes so much more than keeping cars dust-free. Just like any other business, you have to follow certain steps in order to establish your car cleaning empire. 1. Study the car wash industry. It is essential to know the concepts behind this industry in order to stay alive in the competition. 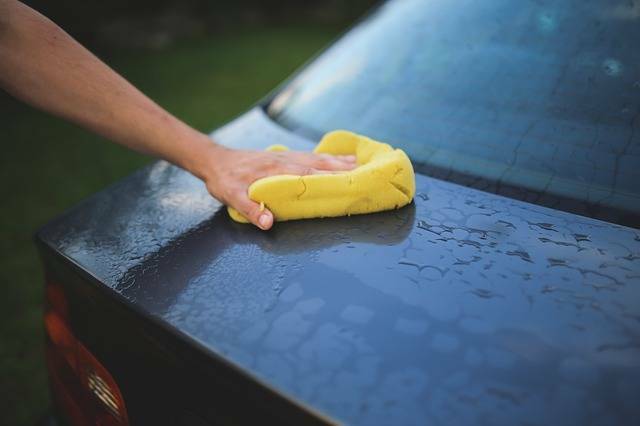 Get to know what are the latest technologies employed in washing cars. Determine the demographics of your potential clients and find a way to win their trust. Research about the average pricing of the service and look for ways to beat your competition in the area. More importantly, study the most effective car washing processes. 2. Find the best location for your shop. Before deciding where to set up your shop, find time to count the number of potential clients in the said location. Make sure that the space is big enough, preferably bigger than 100 square meters and has adequate water supply. Carmudi suggests that the speed limit in the area should not be higher than 60kph to allow passing motorists to make a split second decision when they see your signage. 3. Purchase necessary equipment and hire trusted employees. In an article for Entrepreneur, car wash proprietor Archie Ocampo said he spent about P50,000 for car wash tool and supplies including the pressure washer, air compressor, car shampoo, micro fibers, jelly blades, industrial air blower, rotary buffer and chamois. Furthermore, you need to hire reliable employees and train them to efficiently wash cars. Use social media, put up streamers, send out flyers and offer discounts to promote your car wash shop. You can even give a promo to customers during your opening week so they can advertise your shop to their network.